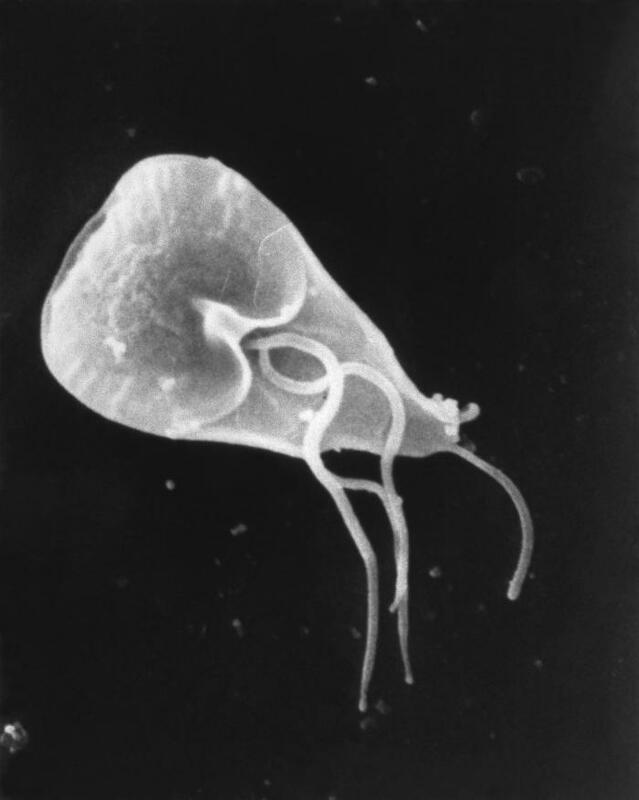 Giardia spp. is a zoonotic parasitic protozoan that can cause giardiasis in lagomorphs, but transmission between humans does not appear to occur. Species that cause disease with rabbits include Giardia duodenalis -- however, it can be found in the intestinal flora of rabbits naturally without causing clinical disease. The parasites are relatively uncommon in rabbits but are responsible for diarrhea when large numbers are present. Outbreaks of catarrhal enteritis leading to death have been attributed to giardiasis. May lead to death. Rabbits may also be asymptomatic. Treatment for giardiasis includes metronidazole with supportive care. ↑ Molly Varga, Textbook of Rabbit Medicine, 2nd edition, 2013. This page was last edited on 7 December 2018, at 20:38.